In the Immigration and Customs Enforcement detention centers where she was held, Luz became known as la llorona — the one who cries. Luz, who asked to be identified only by her first name to protect her from an abusive husband in Honduras if she’s deported, said she was in emotional and physical pain for the five months she was in federal detention. First, she was separated from her 15-year-old son under the U.S. government’s short-lived “zero-tolerance” policy after fleeing what she described as 17 years of physical and emotional abuse — including death threats — from her husband and illegally crossing the Rio Grande on May 16. 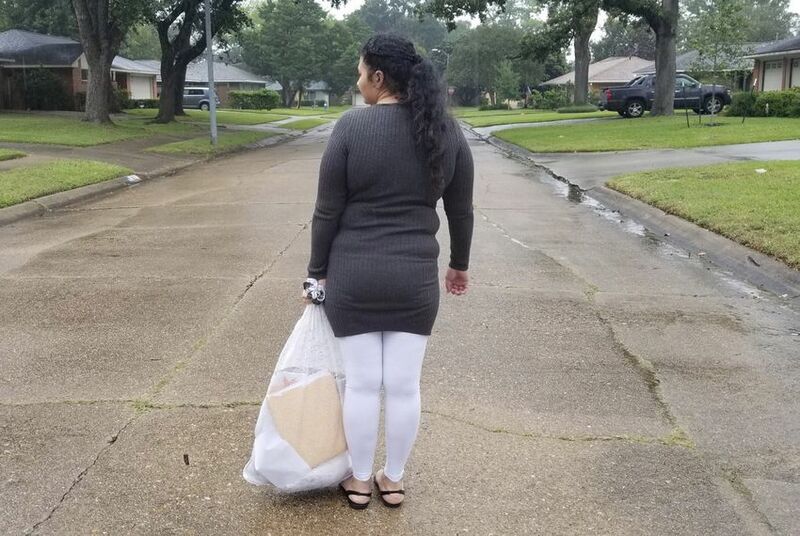 They were quickly apprehended by Border Patrol agents near McAllen and requested asylum; Luz was sent to the Port Isabel Detention Center while her son was shipped to a San Antonio migrant youth shelter. Luz said she left her six other children in the care of her mother and other relatives in Honduras; her lawyer said she hoped to gain asylum and bring them to the United States to join her. Then, within a week of arriving at Port Isabel, Luz said her umbilical hernia and Cesarean section scar — the aftermath of delivering her seventh child in March 2017 — ripped open. So began a four-month medical nightmare. After being assigned a top bunk in her Port Isabel room, Luz said she told ICE agents about her surgeries and her concern that repeated climbing onto the bed could irritate the scars. “Well it was a long time ago, you’ll be fine,” Luz said an agent told her. Within a week, Luz said her abdomen started leaking. Luz said she could fit her pinky finger into the scar’s hole and she was in a lot of pain. She said a doctor in the detention center prescribed antibiotics and gave her ibuprofen for the pain, and she was under a nurse’s care at the facility for eight days. According to an obstetrics and gynecology faculty doctor at the Texas Tech University Health Sciences Center in Odessa, Luz’s seven pregnancies likely left her stomach muscles weakened, resulting in an umbilical hernia. 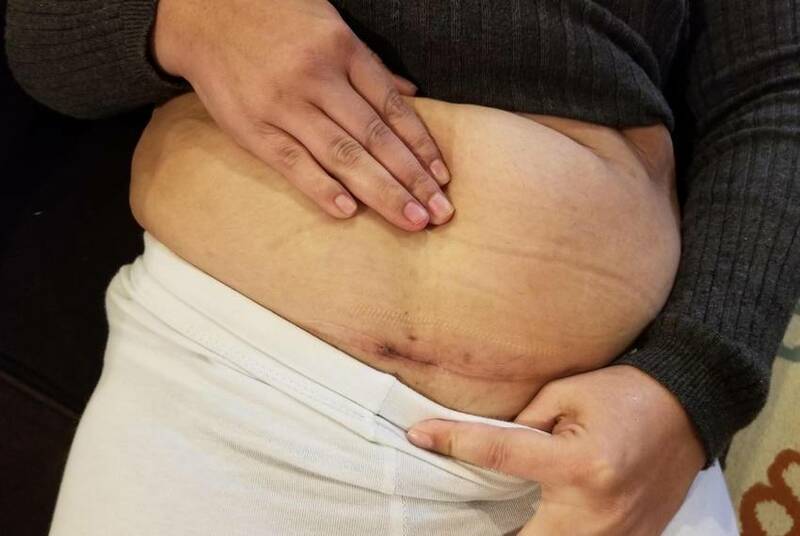 While such hernias are not uncommon or typically painful, the doctor said heavy lifting and straining can lead to additional problems and increased pain in any incision area, which could explain how Luz’s C-section scar reopened. Pruneda said detention centers provide 24-hour emergency care and are staffed with doctors, nurses, licensed mental health providers, physician assistants and nurse practitioners. ICE spends more than $250 million annually on healthcare services for detainees, she added. While still in Port Isabel, Luz had a credible fear interview and told an asylum officer about her years of domestic abuse. But it’s increasingly difficult for an applicant to qualify for asylum on the grounds of domestic or gang violence alone after U.S. Attorney General Jeff Sessions' announcement in June that essentially eliminated domestic abuse and gang threats as qualifying factors. After denying her credible fear claim, Luz said the officer told her she could either be deported with her son or deported alone. After nearly a month in Port Isabel, Luz was transferred to the South Texas Detention Center in Pearsall, where she said doctors gave her more ibuprofen and wrapped her scar. She said doctors told her that because she had a deportation order, they wouldn’t be able to do anything more than manage the pain through ibuprofen. Luz said she couldn’t do anything but lie in bed due to the intense pain. Powers, a Houston-based attorney who has worked on other “zero-tolerance” family separation cases, learned about Luz’s case in early September, just before The American Civil Liberties Union and President Trump reached an agreement that would allow families — many who said they had signed away their reunification rights under distress — another credible fear interview. “That was the moment that saved her,” Powers said. Asylum officers reviewed her case following the ACLU announcement, and her negative review was changed to positive, making her eligible for bond. Luz’s son was released from the shelter to family in New York three weeks ago, and Luz said doctors at Pearsall re-examined her wound. ICE arranged for Luz to have surgery on Sept. 24 in a San Antonio hospital. When she woke up from the procedure, Luz said an ICE agent shackled her hands and feet. After a day in the hospital, she was released back to the detention center. She walked out of Pearsall with Powers on Tuesday night after the immigration nonprofit organization RAICES posted her $9,000 bond. After five months of separation, Luz was scheduled to fly to New York on Thursday to see her son. Editor's note: The Texas Tribune and TIME have partnered to closely track the family separation crisis at the U.S.-Mexico border. This story is not available for republishing by a national news organization until Oct. 27 at 2 p.m. Central time. Texas news organizations may run it at any time. For more information email nchoate@texastribune.org.